This week one of the biggest fundings came to ride-hailing unicorn Ola’s Electric unit, which raised $300 Mn from South Korean automaker Hyundai along with its affiliate Kia Motors to fund a strategic partnership under which the three companies extensively collaborate on building India-specific electric vehicles and infrastructure. BYJU’S: Bengaluru-based edtech unicorn BYJU’S raised $25 Mn from General Atlantic in a fresh Series G funding round and $6 Mn from Tencent in its Series F funding round. The company has raised fresh funds at a post-money valuation of $5 Bn. The company will continue to use the funds for its global expansion and product development. PhonePe: Flipkart owned online payment company PhonePe raised $107.6 Mn (INR 743.5 Cr) from its Singapore-based parent entity PhonePe Pvt Ltd, formerly known as Flipkart Payments. This fresh funds will be utilised by the company bulk up its cash position as it is an official co-sponsor for the TV broadcast of VIVO IPL 2019. Under this, the company has also announced Bollywood star Aamir Khan as the brand ambassador. Paper Boat: Health beverage maker Paper Boat’s parent company Hector Beverages raised 1.45 Mn (INR 10 Cr) from A91 partners. A March 2019 filing accessed by Inc42 showed that the company has now been valued at $130.2 Mn (INR 876 Cr), with shares priced at INR 798 each. FrontdeskAI: California-and Bengaluru-based AI assistance provider to small businesses, FrontdeskAI raised $2 Mn pre-Series A funding round from pi Ventures. The startup plans to scale its product development and also foray into new markets. With the latest investment in the startup, pi Ventures’ partner Abishek Surendran and BluePointe Ventures managing partner Sandeep Sardana will be joining the FrontdeskAI’s board. BeatO: New Delhi-based healthtech startup BeatO raised $1.6 Mn in a Pre-Series A funding round led by Mumbai-based venture capital company Orios Venture Partners. Existing investors such as Blume Ventures and Leo Capital also participated in this round. The startup plans to use the funds to expand the product line for its flagship glucometer, expand its services into the FMCG and retail categories. A part of the funding will also be used for developing its R&D, platform upgradation for auto-suggestions based on blood sugar readings, and product development. Tookitaki: Singapore and Bengaluru-based enterprise software solutions provider Tookitaki raised $7.5 Mn (INR 5.17 Cr) in Series A round which was led by London-based Illuminate Financial and Singapore-based VC firm Jungle Ventures. Other investors such as Enterprise Singapore, Supply Chain Angels and VWX Capital also participated in this round. Mark Rodrigues, partner at Illuminate will join the board of the startup as a part of this deal. The majority of funds will be used to strengthen the company’s R&D capabilities. InstaReM: Singapore-and Mumbai-based fintech company specialising on cross-border payments InstaReM raised $20 Mn (INR 137 Cr) led by Singapore-based Vertex Growth Fund (VGF) with participation from South Korea’s Atinum Investment. With this, the Series C round closes at $60.6 Mn (INR 418 Cr). The startup plans to utilise the funds to accelerate its growth in existing and new markets, scale its existing financial services, as it expects to receive operating licences in Japan and Indonesia later this year. HalaPlay: Mobile-based online fantasy gaming platform HalaPlay raised $5.8 Mn in Series A funding led by Nazara Technologies and Delta Corp, as the startup gears to scale its marketing strategy, along with product development and also expand employee headcount. MayFair: Gurugram-based lifestyle and apparel ecommerce brand MayFair raised $3.2 Mn seed funding from Nexus Venture Partners and CDH Investments. The funds will be used to ramp up procurement and operations and to expand the team. The company offers affordable fashion across verticals such as clothing, accessories, and home and living products. DeHaat: Gurugram-based online marketplace for farm products and services DeHaat raised $4.3 Mn (INR 30 Cr) pre-series A round from Omnivore. US-based agriculture investor AgFunder and several angel investors also participated in the funding round. Pankaj Chaddah, cofounder of Zomato, as well as another Indian family office, also invested in the round. With the latest fund infusion, DeHaat looks to reach out to over 250K farmers over the next 12 months. Transport Hub: Mumbai-based logistics platform Transport Hub raised $507K (INR 3.5 Cr) from HNIs to scale up their business. 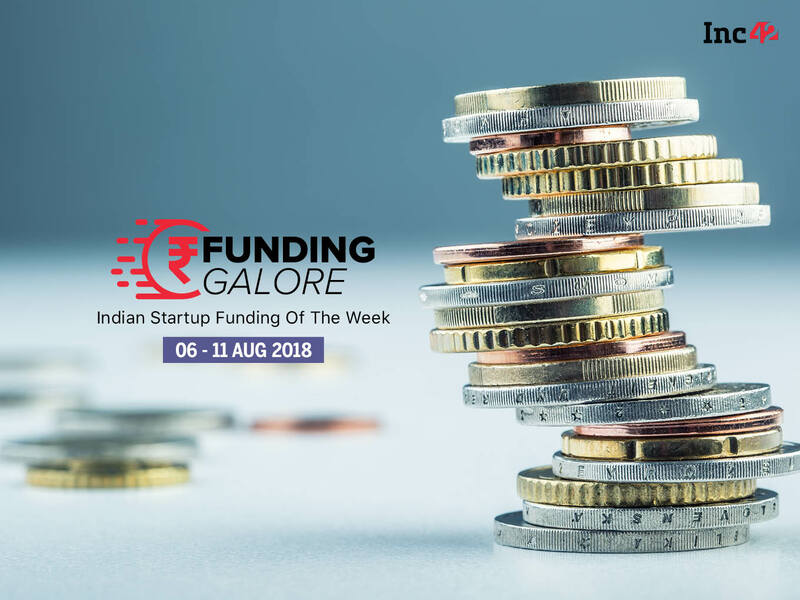 In the next 3-4 months, they are looking to raise additional funds of INR 50 Cr as a part of Series A funding to scale up their existing business. Voiro: Bengaluru-based revenue management suite Voiro raised $362K (INR 2.5 Cr) in a pre-Series A round of funding led by early stage investment fund 1Crowd and its investor community. The funds raised will be used by Voiro as growth capital for both domestic as well as international markets. New Delhi-based online retail payments platform Pine Labs has signed a definitive agreement to acquire Bengaluru-based digital gift card firm Qwikcilver Solutions for $110 Mn, subject to closing conditions. Pine Labs said that the deal has been funded from the company’s cash reserves and additional funding from existing investors. Post-acquisition, Kumar Sudarsan, cofounder and CEO of Qwikcilver will join the leadership team of Pine Labs. Beauty e-tailer Nykaa acquired women styling platform 20Dresses.com for an undisclosed amount to expand its fashion business. The entire team of 20Dresses, operated by Outletwise Retail Pvt. Ltd, will join Falguni Nayar-led Nykaa. The acquisition will help Nykaa grow its private labels. Chinese smartphone maker Xiaomi’s India unit raised $507 Mn (INR 3500 Cr) from its Singapore parent company. The company will reportedly utilise the funds to enter the white goods sector — such as water purifiers, washing machines, laptops and refrigerators — as well as to expand its company-owned Mi Home retail stores to sustain the leadership in the Indian smartphone market. Gujarat University Startup and Entrepreneurship Council hosted herSTART programme where 35 ideas were selected for pre-incubation support. The top 5 ideas were further awarded cash prizes worth INR 1 Lakh to INR 4 Lakh, funded by the Motwani Jadeja Foundation. The top five winning women were Sarika Chitrodiya, Bindi Patel, Rehnuma I Sodawala, Vineet Gadhavi and Nirali Patel. US-based Airbnb is in discussions to invest in Indian hotel management startup OYO. If completed, the investment would likely be in the $100 Mn to $200 Mn range. With an investment in OYO, Airbnb may be looking to expand reach to OYO’ close to 180K hotel rooms in India and about 500K rooms all over the world. The global social media giant Facebook is in early talks with several content startups, including PopXo for potential investments. It has reportedly met a few content startups over the past month and will continue such meetings this month. It is being speculated that Facebook is also trying to figure out on how to structure investments in India. The story has been updated to exclude Xiaomi India’s $507 Mn funding from the week’s funding report, as it was erroneously included earlier. The error is regretted.